The rounder, good form from pod parent did not come through in this flower. This almost resemble Phal stuartiana x ambonensis, or Phal stuartiana x venosa - but maybe slightly fuller petals. 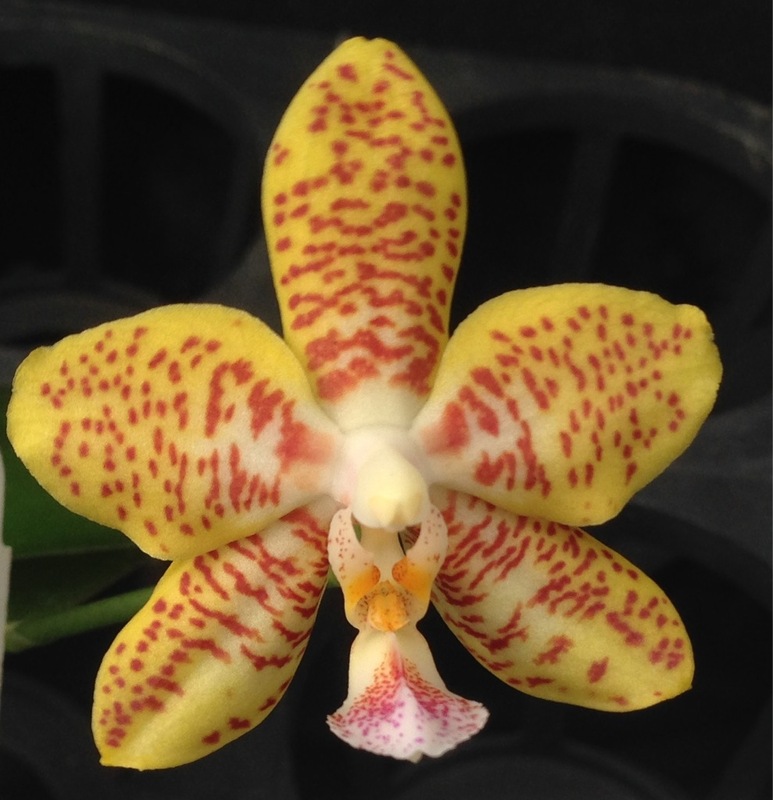 Phal stuartiana is very dominate. It looks like Phal. Ho's Kuangfeng Glory (Phal. cornu-cervi X Phal. Su-An Cricket) did not contribute much. Neat example really. Even pod parent didn't show much HKFG influence so not surprised this doesn't show much as well. Hopefully the stuey will take over in form for a few of these. The patterning from Ambo is nifty. What is spike habit Peter? Much better result than I would have expected. Love it. Another one of this. It's flowering now because Phal amboinensis is flowering. Looks very similar to the first one. Cute. So I bloomed a few of these and they all look very similar. This is a good cross because it should bloom both early spring from stuartiana influence as well as summer from amboinensis influence. I also like that the color gets darker over time. This will take two registration to get the name registered. Top is newer flower matures to gold color. 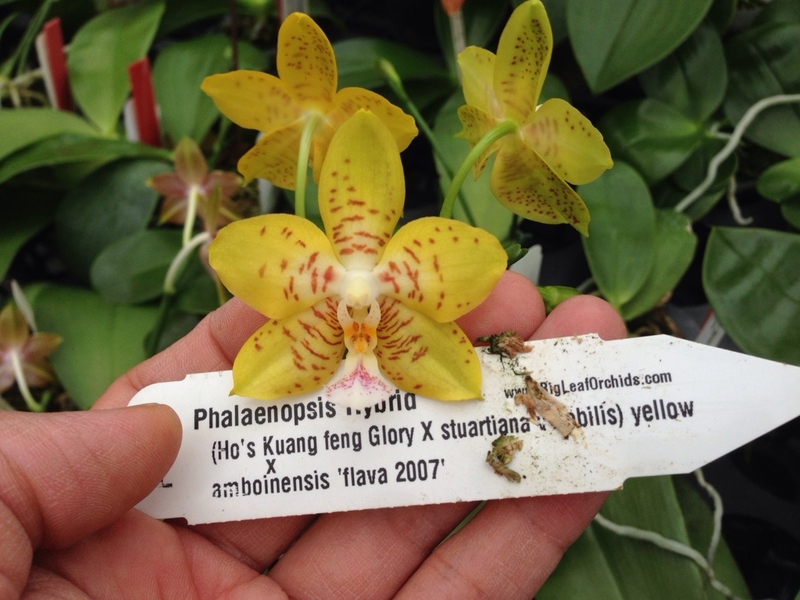 I'm excited to finally register this hybrid as Phalaenopsis Pylo's Gold. Since this hybrid is used in my breeding program. My goal is to have a diplod yellow flower parent where the yellow color gets darker with age.